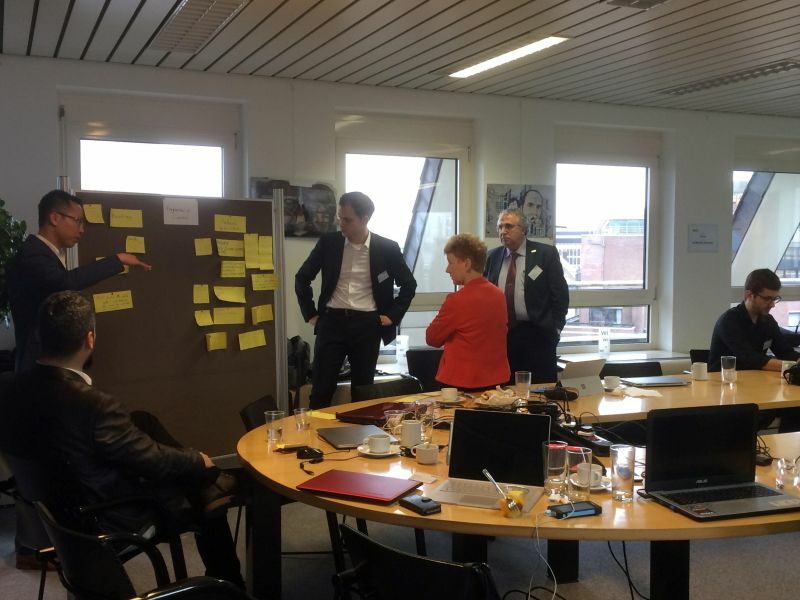 On 23rd January 2018 the second workshop on CSR (Corporate Social Responsibility) and Business Modeling, hosted by the Chair of Management Accounting, RWTH Aachen University, took place in Brussels. Aim of the workshop was to validate the results achieved so far and to develop new perspectives for the work in the second half of the project on the basis of the technical research results. After an introduction and a short discussion, the work began in two working groups. Subdivided into the two subject areas of the project Frequency Control and Voltage Control, changes in the existing market structures were identified on the basis of the previous technical results. We could identify future challenges for existing market participants as well as new players involved in the energy transition process. 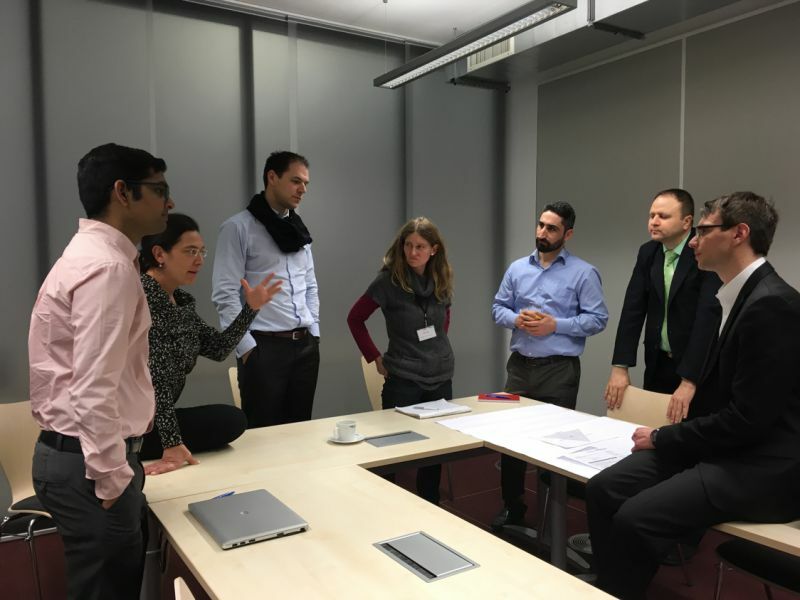 Thanks to the broad expertise of the consortium, after a first brainstorming process both groups were able to compile comprehensive overviews that reflect the economic developments within the changes identified in the project. In a final panel discussion, the results of the two groups were presented and merged. Once more it was clear what major changes in the field of electrical energy supply in Europe are imminent. Only a comprehensive view of all stakeholders can ensure that the change will take place successfully and sustainably. Overall, the workshop was very successful due to the great commitment of all participants and provides a good basis for the work in the second half of the project. 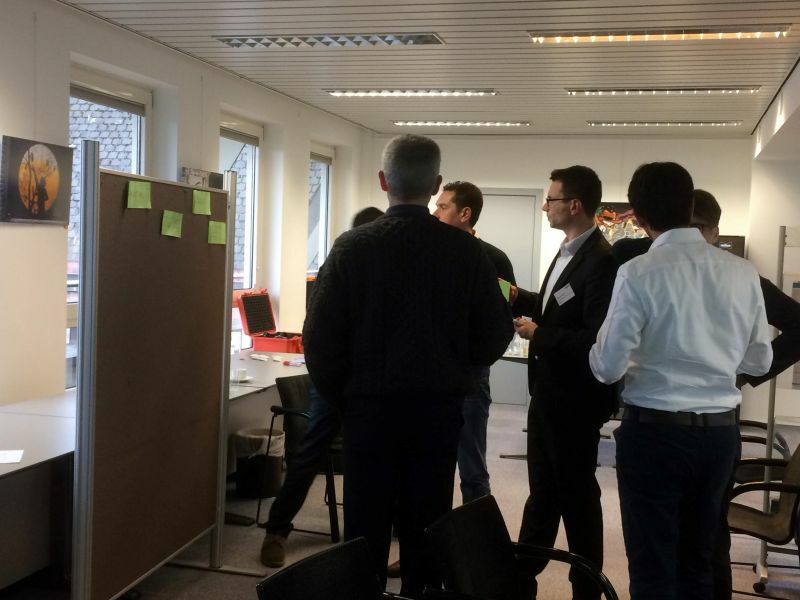 On 18th of January 2017 the first CSR workshop, hosted by the Chair of Management Accounting, RWTH Aachen University, took place in Aachen. The aim of the workshop was to discuss with the participants the importance of sustainability at the ecological, economic, and social level within of the project RESERVE. The upcoming substantial new designs of energy systems will result in new business models with a shift in market shares and institutional influence to new or established actors. These changes will substantially concern the environment and society. Apart from the technical components, these changes are also being investigated in RESERVE. For this reason, the involvement of all project members since the very first beginning is essential to discuss existing concerns and aspects that have to be included in the analysis of the CSR impacts of business models for the energy sector during the course of the project. The first part of the workshop focused on introducing and explaining the concept of CSR to the participants and to establishing the link between this idea and the RESERVE project. 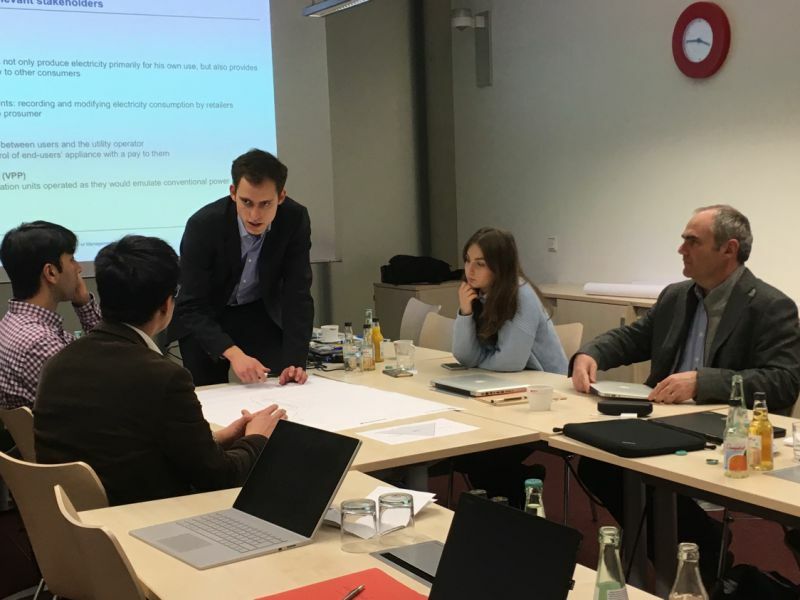 The second part of the workshop was organized as Word Café conversational process: the participants were actively involved in three discussion groups were the topics "Stakeholders", "Problems in practice" and "CSR Guidelines" were analyzed. At the end of the session the opinions and views emerging from the various discussions groups were summarized. They will be taken into account during the further course of the project. In summary, many exciting aspects could be worked out. The workshop was a very good start in the relevant work package “Regulatory, legal issues & business models for RES”. Furthermore, it served as an excellent platform to illustrate the synergies between the different partners and to evolve a holistic picture of the requirements on RESERVE.